The U.S. Food and Drug Administration (FDA) approved Modafinil, a generic version of a wake-promoting agent, in 1998. Pharmacologically different from other stimulants, this drug currently has FDA approval for treatment of excessive daytime sleepiness associated with Narcolepsy, Shift Work Sleep Disorder (SWSD) and Obstructive Sleep Apnea/Hypopnea Syndrome (OSAHS). Modafinil is a medication that promotes wakefulness. It’s an effective, safe cognitive enhancer and one of the most efficient psychostimulants partly due to a lack of serious side effects. One pill can last up to a full workday, while other conventional (therapeutic or recreational) drugs fade away within an hour or two of taking them. Not only will you feel more awake and focused, you’ll see increased productivity and stamina, decreased drowsiness and you will have an overall better mood throughout the day. This interesting drug comes with its own unique history and you should become acquainted with both its usage and side effects, as well as where and how to order your medication. When choosing a cognitive enhancer, it can be helpful to understand how and why it was created. Modafinil (chemically referred to as 2-[(diphenyl methyl)sulfinyl]acetamide) is the generic name of a drug sold worldwide under a variety of brand names. It is a powerful stimulant whose history dates back to the 1970s. Modafinil’s history began with the invention of a series of benzhydryl sulfinyl compounds and development of another stimulant drug developed by Lafon Laboratories in France. This drug’s primary use was to treat narcolepsy and other sleep disorders. It was considered superior to amphetamines because it didn’t produce the anxiety and repetitive behavior common with these other drugs and it wasn’t addictive. The original drug was further synthesized and developed by neurophysiologist and emeritus experimental medicine professor Michel Jouvet and Lafon Laboratories. The primary metabolite of this drug was marketed as Modafinil. Unlike the former version, Modafinil didn’t need to be broken down into another substance to be effective, making it faster acting and less likely to contribute to liver damage. After the successful completion of studies in 1986, observations showed Modafinil effectively treated narcolepsy and also temporarily reduced a healthy patient’s need to sleep. Lafon Laboratories received U.S. Patent 4,927,855 on May 22, 1990 for the chemical compound Modafinil. 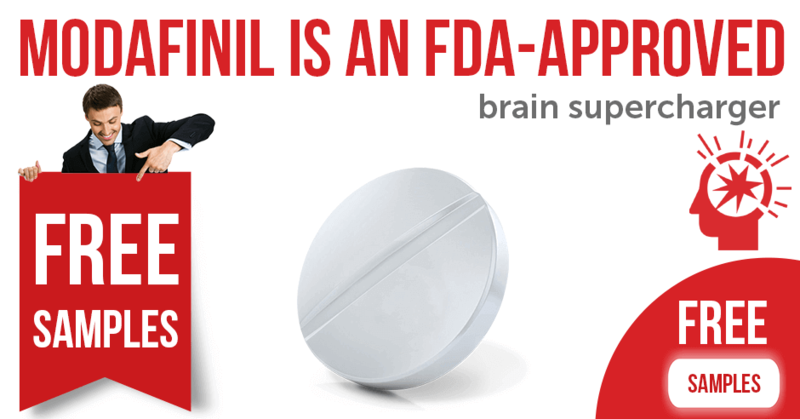 In 1993, the laboratory leased the rights to Modafinil to a U.S. based company and five years later, Modafinil was officially FDA approved as a remedy for narcolepsy. By 2003, it also received approval for SWSD and OSAHS. The pill increases both wakefulness and the ability to stay on task, thinking clearly and functioning normally. It acts as a selective, relatively weak, atypical dopamine reuptake inhibitor (DRI). What exactly is a DRI? It’s a type of drug that inhibits the reabsorption of the monoamine neurotransmitter dopamine by blocking the action of the dopamine transporter (DAT). This is achieved when the unabsorbed extracellular dopamine is blocked from re-entering, which leads to increased concentrations of dopamine. Low dopamine levels often lead to lack of motivation, fatigue, mood swings and memory loss. Therefore, increased levels would have the opposite effect with increased energy and memory. This produces a desirable effect on those suffering from narcolepsy, SWSD and OSAHS. Excessive sleepiness is the primary symptom and often the most debilitating symptom associated with all three of these disorders. It is defined as difficulty in maintaining wakefulness with an increased likelihood of falling asleep in inappropriate situations. Although a symptom you’d commonly link with narcolepsy, excessive sleepiness also affects those with SWSD and OSAHS. Although it doesn’t cure these conditions and only works as long as the patient continues taking it, Modafinil can be a great benefit to those suffering from these disorders. Modafinil’s original purpose was treating narcolepsy. This brain disorder induces sleep at inappropriate times and causes excessive sleepiness. It is a serious condition where sufferers cannot stop falling asleep, and involves poor control of sleep-wake cycles that may cause sudden “sleep attacks.” These attacks cause a person to unwillingly fall asleep for anywhere from a few seconds up to several minutes. Another major symptom is cataplexy, which is a sudden loss of voluntary muscle tone while awake that makes you go limp and often unable to move. Sufferers may also experience hallucinations or total paralysis right before falling asleep or immediately upon waking up. Modafinil helps people with narcolepsy and hypersomnia stay awake during the day, allowing them to enjoy regular daily activities. Plus, unlike amphetamines, it doesn’t keep them awake at night and allows them to have normal sleep patterns without dependency. Later, Shift Work Sleep Disorder sufferers also found relief with Modafinil. SWSD affects those working the night shift in a variety of vocations. This disorder is caused by a recurrent pattern of disruption in sleep that leads to excessive sleepiness or insomnia due to the mismatched sleep-wake schedule. Patients often suffer from fatigue, headaches, insomnia or difficulty concentrating. Workers who rotate shifts or work graveyard shifts are prone to this affliction and also benefit from Modafinil. It allows them to remain awake and alert at night when their body is programmed to sleep. Those who suffer from Obstructive Sleep Apnea/Hypopnea Syndrome with residual excessive sleepiness despite regular use of Continuous Positive Airway Pressure (CPAP) also find relief with this drug. OSAHS patients use CPAP medical devices as a primary treatment to blow air through the nasal passages to help alleviate symptoms. However, they often fall asleep during daytime hours because their sleep is still being disturbed at night. This is most commonly caused by airway obstruction, in which sufferers awake during the night, unable to draw an adequate breath or literally stop breathing. Although Modafinil is an appropriate treatment to help patients stay awake and more alert throughout the day, it should not replace the CPAP. This drug should be used in conjunction with using the CPAP while you sleep. 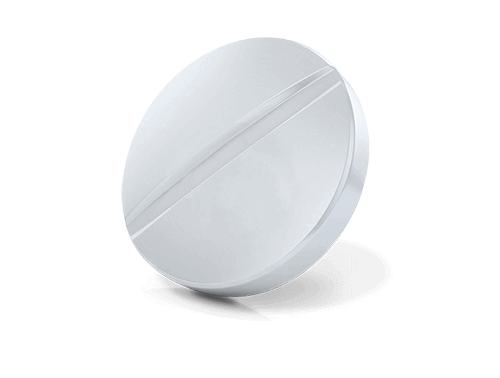 Officially, Modafinil is used to treat chronic daytime sleepiness caused by the three aforementioned disorders, but it also has many “off-label” uses. 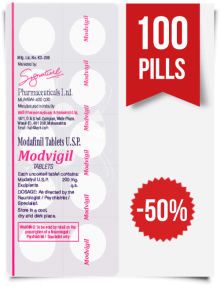 Modafinil is an interesting drug, because it combines a euphoric effect together with razor-sharp focus. Unlike illegal drugs, such as opium, LSD or Ecstasy, this drug doesn’t make you “happier,” but it does bring the right amount of enthusiasm to even the most tedious of tasks and without the addictive qualities you’ll find in these other options. The widespread use as a cognition-enhancing agent appeals to people in various walks of life, including students needing to focus on studies, business persons wanting to get ahead and military personnel needing to stay more alert during operations. Neither the benefits experienced from coffee nor most kinds of natural stimulants come close those received from Modafinil. Touted as a “smart drug” that helps improve attention, it is a powerful stimulant that not only improves memory, but also intellectual keenness and other mental activities. Students use it to not only help them focus, but also to enhance the ability to solve problems and think more creatively. It is also incredibly efficient at restoring your brain’s cognitive functions during times of decreased wakefulness. It works by inducing your body to increase its production of monoamines. These specific neurotransmitters stimulate the hypothalamus, which produces hormones responsible for controlling sleep and the circadian rhythm. Some other alternative uses found for Modafinil include Attention Deficit Disorder (ADD) or Attention Deficit Hyperactivity Disorder (ADHD), depression, post-anesthesia grogginess, treatment for cocaine addiction, fatigue and sleepiness caused by other prescription medications, treatment of chemotherapy or multiple sclerosis symptoms, fatigue from high-pressure jobs and age-related memory decline or memory problems associated with Alzheimer’s disease. Since its introduction, the number of off-label prescriptions has risen. People in jobs where it is crucial to remain awake and alert are clamoring to obtain the drug. This may lead to even further FDA approved usage. Like any drug you take, especially for an extended period of time, there is always concern that you will become physically addicted to it. Luckily, it does not contain addictive properties, which gives it even more cultural acceptance. While Modafinil’s primary use is for fighting fatigue, it has started to become more widely used due to its powerful yet sustainable stimulant properties that rival those of amphetamines. Unlike those drugs, Modafinil is not physically addictive and it delivers like results in terms of perceived cognitive-enhancing ability. However, like any substance, you are advised to monitor your consumption behavior so you do not develop a psychological addiction. You should avoid taking large doses of the drug; for example, do not take more than two 200mg pills per day. This amount corresponds to the maximum recommended dosage and should not be consumed on a regular basis. 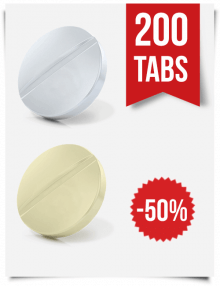 Recently, Modafinil has seen a surge in its usage where cerebral endurance is paramount. It has attracted a wide audience that seeks to break free from the confinements of regular sleep-wake cycles. It is made so much more appealing because it does not cause physical addiction. It also does not cause intense euphoria or changes to blood pressure. It is fairly inexpensive and does not produce hangovers or long-term side effects. Instead, it inhibits peripheral stimulation of your central nervous system, which results in heightened alertness and increased focus. This is highly advantageous for performing repetitive and complex tasks. Despite its lack of addictive properties, Modafinil was deemed inappropriate for athletic use and prohibited for athletes by the World Anti-Doping Agency (WADA). This was partially due to research compiled in Canada when an increasingly high usage of this drug was found in athletes in competition, seeking to artificially enhance their endurance. In this particular study, 15 male athletes were tested using either Modafinil or a placebo. The dosage of the drug was set at 4mg per kilogram of body weight of the individual. The sample group using the actual drug had an average 30% higher endurance than the sample group taking the placebo. Unfortunately for athletes, this study added the drug to the WADA banned substances list, but other experimental uses found for the drug include a variety of beneficial factors. These include treatment of Alzheimer’s disease and regular age-related memory loss. It helps as a remedy for methamphetamine abuse and relief from post-anesthesia and post-opioid brain fog. It also shows increased enthusiasm in the elderly. While there will always be concern about the drug’s potential to cause addictive behavior, an increasing number of people embrace the relief from fatigue and mental clarity they discover. Exhausted night shift workers and biologically disadvantaged individuals find it extremely beneficial when consumed responsibly and in moderation. Modafinil comes in 200mg tablets. For those simply trying to fight the symptoms of fatigue, a typical dose is half of a pill or 100mg. If you are looking to increase productivity, a single 100mg dose in the morning and a second 100mg dose around lunch time is not uncommon. Tablets have a convenient break notch to allow easy breakage into perfect half doses. You can typically snap these in two just with your fingers, however, if you determine you want a quarter dose or 50mg, then using a cutting device is advisable. You should never take more than the recommended daily amount. 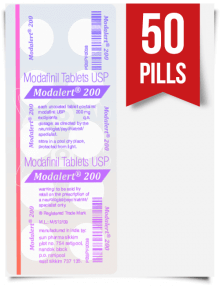 Unlike many other drugs, Modafinil has a long half-life and can remain in your system for up to 15 hours. Thus, if you are currently suffering from some form of sleeping disorder, the use of this drug is not recommended. You should always refer to possible side effects before taking your first dose. Although everybody’s metabolism differs, 100mg is typically enough to give you a strong boost in the morning, even if your morning starts at night. For daytime use, take it first thing in the morning. If you use it as a night shift worker, you should take the medicine about one hour before beginning work. The initial 100mg dose should be enough to get you through your day; however, you may require a second 100mg dose for an extended period of motivation and focus. It is okay to take this medication either with or without food. You should always read and follow the patient instructions that come with your medication and talk to your doctor or pharmacist if you have any questions or concerns about usage. If you take Modafinil on a daily morning schedule and you miss a dose, and it is still close to the time you would normally have taken it, then take it as soon as you remember. If you have missed your dose by more than half a day, then skip the missed dose or it may keep you awake during your normal sleeping time. For example, if it’s late afternoon or evening, you should skip the missed dose. Likewise, if it is almost time for your next dose, skip the missed dose. Then, wait until it is time for your next dose and take only a single, regular dose. You should never take extra medicine or two doses at once to make up for the missed dose. Like any medication, you should keep Modafinil out of the reach of children. This drug is not currently FDA-approved for pediatric patients for any medical reason and should not be given to patients under the age of 18, unless prescribed by a doctor. You should store this medicine in a closed container at room temperature, away from heat, moisture and direct light. If medicine is outdated or no longer needed, then dispose of it properly. All medications can cause side effects, but many people experience either none or very minor effects from this drug. Although the number of people reporting side effects is low, side effects do exist and new users should be especially vigilant for signs of allergic reaction. There are a few common side effects that should they become bothersome, may require a consultation with your doctor. There are also a few more serious, though rare, side effects that may require immediate medical attention, if severe reactions occur. Common side effects of Modafinil include dizziness, anxiety, nausea, headaches, difficulty sleeping or insomnia. You should only see a limited number of these effects and they are generally less than the effects of caffeine. However, if you experience one or more of these side effects persistently, or for an extended period of time, or if they worsen over time, you should talk to your doctor or pharmacist immediately. Other rare, but serious side effects can include a change in your mental state and/or your mood. These changes may appear in the form of confusion, agitation, hallucinations, depression and other forms of distorted thinking including rare thoughts of suicide. Again, though rare, these side effects can be serious and if you experience any of them, you should consult with your doctor. You should also call emergency services immediately if you experience any very serious side effects such as an accelerated and/or uneven heartbeat, chest pains or any signs of infections such as a fever, chills or continuing sore throat. There have also been a few cases of allergic reactions to this medication. These reactions may include, but aren’t limited to, skin rash or hives, blisters or peeling of the skin, severe dizziness, trouble breathing or swallowing, mouth sores and itching or swelling, especially around the face, tongue or throat. In extremely rare cases, serious and sometimes fatal skin reactions such as Stevens-Johnson syndrome or toxic epidermal necrolysis occur. If you develop any type of red, swollen, blistered or peeling skin or blisters on the inside of your eyes, nose or mouth, contact your doctor immediately. Children especially have an increased risk of developing these skin reactions. Serious reactions may also include unusual tiredness or weakness; easy bruising or bleeding; symptoms of liver disease, such as persistent nausea or vomiting, stomach and abdominal pain, yellowing of the skin and eyes and dark urine; and symptoms of kidney problems, such as inability to urinate or low amounts of urine during urination, blood in the urine or an unusually large weight gain. If you experience a rare, but very serious allergic reaction, you should stop taking Modafinil and seek medical help right away. 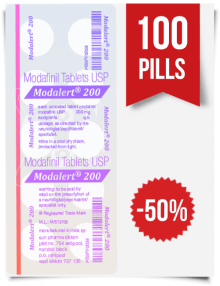 When discussing Modafinil with your doctor, it is very important you divulge any previous or existing illnesses or conditions that affect your blood pressure, liver or cardiac problems, kidney diseases or any type of mental disorders. If you’ve had recent chest pain or a heart attack, let your doctor know. You should also inform your doctor if you have any alcohol or drug abuse issues. If you should become pregnant while taking this medication, inform your doctor, who may want you to join a pregnancy registry for patients taking this drug. Although Modafinil has not shown signs of physical addiction, this medicine can be habit-forming on a psychological basis. To help ensure you don’t fall victim to any addictive behavior, you should never consume more than your recommended dose and always consult your doctor if you feel your medicine is not working before increasing your dose. If you have ever had an allergic reaction to Modafinil or any other similar type of medicine, then you should not use this drug. Besides side effects of the drug itself, you should also be aware of any interactions Modafinil might have when combined with other drugs you already take. Before taking this medicine, you should inform your doctor of any other prescribed or non-prescribed drugs, including medical marijuana, that you are currently taking. You should also include herbal supplements and vitamins to ensure there aren’t any adverse reactions when combined. It is especially important to mention whether or not you are taking anticoagulants or any type of drugs that lower blood pressure, including beta-blockers. You should also list any drugs that would affect your hepatic enzyme activity, which would speed the process of eliminating drugs from your system. These can include certain types of seizure medications and bactericidal antibiotic drugs. Other drugs you should tell your doctor about include those used to treat ADD/ADHD or narcolepsy or certain antibiotics or antifungals, especially those containing dextroamphetamine, itraconazole, ketoconazole, methylphenidate or rifampin. There is also a possibility that Modafinil may slow down or speed up your liver enzyme production. These enzymes help excrete drugs from the body. You should disclose information about any antidepressants containing phenobarbital or carbamazepine you take, which might also have an effect on these enzymes. Modafinil does not mix particularly well with monoamine oxidase inhibitors (MAO) antidepressants. You should stop using MAOs while using Modafinil and discontinue using them for two weeks prior to and two weeks after using this drug to avoid any potentially serious problems. This medication may hamper the effectiveness of certain types of hormonal contraceptives. If you currently use birth control pills, implants, patches, shots, vaginal rings or an IUD and you don’t want to become pregnant, you may want to seek alternative forms of birth control. You should consider using other additional birth control methods, such as condoms, contraceptive foams or jellies or diaphragms while using this drug. You should also continue using these extra protective measures for up to one month after taking your last dose to help prevent unwanted pregnancy. While taking this drug, tell your doctor if you have any new spotting or breakthrough bleeding between menstrual periods as this can be a sign that your birth control is not working well. Again, inform your doctor if you should become pregnant while taking this medication to discuss the benefits versus the risks of using this drug during gestation. You should be wary of ingesting high levels of caffeine in conjunction with taking this drug. This could cause an increase in heart rate and elevation of blood pressure. Because caffeine can increase the side effects of Modafinil, you should not drink large amounts of caffeinated beverages, like coffee, tea, and colas. You should also avoid eating large amounts of caffeine-containing foods such as chocolate and taking non-prescription products containing caffeine like alertness aids. Energy drinks, when combined with this drug, can also have the same effect on your system. You should also avoid cold medications that contain ingredients such as ephedrine, pseudoephedrine, phenylephrine or phenylpropanolamine and diet pills or dietary supplements that contain ephedra or ephedrine, which will have the same effects as consuming too much caffeine. Be sure to check the labels on all cough and cold medications and diet pills for ingredients known to increase your heart rate or blood pressure and ask your pharmacist about safe usage of these products. Some other products that may interact with this drug include psychoactive street drugs such methamphetamines or MDMA drugs like “ecstasy” and “mollies.” You should also avoid drinking alcohol of any kind while you are using this medicine. Since Modafinil can cause dizziness, alcohol could worsen this effect. Drug interactions can change how the medications you take work or can increase your risk of both common and serious side effects. The interactions listed above are just some of the drug interactions with known issues when combined with Modafinil. 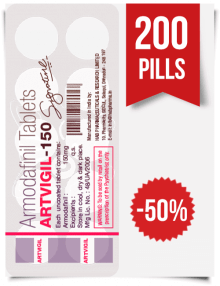 You should never combine this drug with similar products, such as those containing armodafinil. To be safe, always keep a list of all medicines you take and share this information with your doctor or pharmacist. You should never start, stop or change the dosage amount of any medications without first consulting with your doctor to help prevent any negative effects. Besides the potential side effects and drug interaction issues mentioned above, there are few other important safety issues you should address before deciding if Modafinil is right for you. Like any new medication, you should research any potentially harmful effects prior to taking it and avoid certain activities until you know how you will react to the new stimulant in your system. Although this drug does not produce functional impairment, any medicine that affects the central nervous system has the potential to alter judgment, thinking or motor skills. You should not drive a vehicle, operate dangerous equipment or perform any other possibly unsafe tasks until you know how you will react to taking this drug. You may feel this is an unnecessary precaution, but any medication can affect people differently and you should always err on the side of caution until you have all the facts. If you are allergic to gluten or are lactose intolerant, it’s possible you may have a reaction to Modafinil. The binding materials of these pills do contain small amounts of gluten and lactose. Depending on the severity of your allergy, it is a possibility that the presence of trace amounts of these substances may affect you negatively. Modafinil does not cure sleep disorders and it may not alleviate all of your sleepiness. When adding this drug to your daily regime, do not change your other daily habits without first discussing it with your doctor. You should also never replace getting enough sleep with any drug. Be sure to always follow your doctor’s instructions in regards to good sleep habits and the usage of other treatments in conjunction with taking this medication. Again, never take more than the recommended dose or increase your usual dosage without checking with your doctor. Elderly patients can sometimes be more sensitive to the effects of this medication and should use this drug with caution. They often require a lower dose due to the possibility of elimination of Modafinil and its metabolites being reduced as a consequence of aging. Geriatric patients with a recent history of myocardial infarction or unstable angina should be treated with extra caution and have their blood pressure checked often. This drug is not FDA-approved for use in children; however, your doctor may decide the benefits of your child using Modafinil outweigh the risks. You should never give this drug to a child without first consulting a doctor due to the increased risk of side effects in younger patients. It is not currently known if Modafinil is found in breast milk. If you are or will be breastfeeding while taking this drug, be sure to discuss any possible risks to your infant with your doctor. If you take very high doses of this drug and then suddenly stop, you may experience withdrawal symptoms. Typically, these may include severe sleepiness. You should discuss any concerns about potential withdrawal effects with your doctor. Patients using an immunosuppressant, such as those containing cyclosporine, which helps prevent organ rejection after a transplant or to treat rheumatoid arthritis and psoriasis, should also use caution when combining these drugs with Modafinil. It is possible for the blood levels of an immunosuppressant to be reduced when used concurrently with Modafinil and these concentrations should be monitored and appropriate dosage adjustments made. If you suffer from severe, hepatic impairment or acute liver failure either with or without cirrhosis of the liver, you should take a reduced dose of this drug. Typically, these patients take one-half of the normal dose of a patient with healthy liver function and should be monitored for toxicity levels. Since elimination of the drug is completed through metabolism primarily through the liver and then subsequently through the kidneys, patients with severe renal impairment or kidney failure should also use Modafinil with caution. 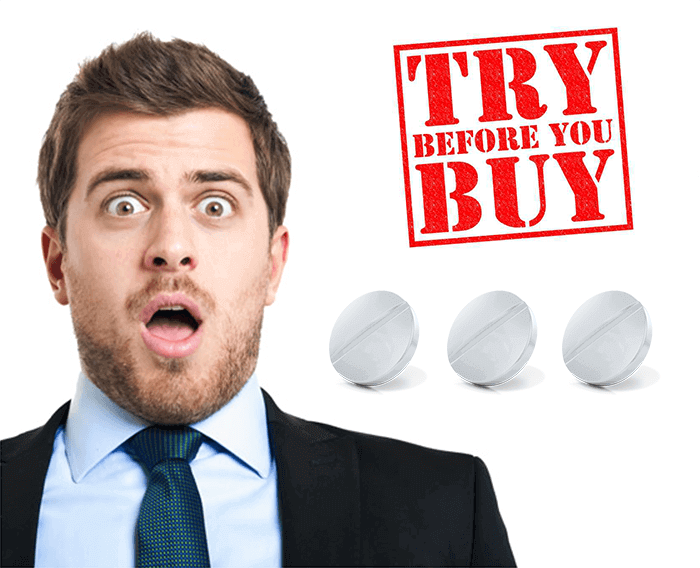 Now that you know all about Modafinil and you think you might like to try it yourself, you need to find a reputable and reliable online pharmacy to place your order. This is where ModafinilBuyOnline can help. At ModafinilBuyOnline, we pride ourselves on providing the best online pharmacy shopping experience possible. We respect all of our customers economically, morally and aesthetically. We’ve been in business since September 2014 and our mission is to provide the easiest, most reliable system for customers to buy this medication. 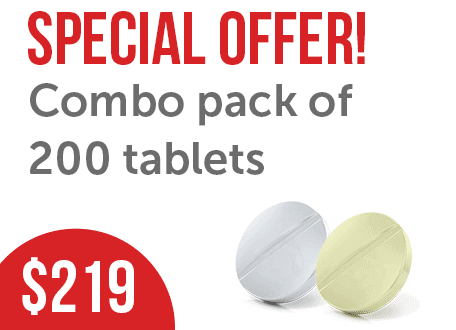 We provide a beautiful, easy to use online pharmacy with superior products at an affordable price. We give you a secure platform, so you can always feel safe ordering from us. We are proud to contribute our tiny part in making the world a more efficient, freer place to live in. Our store is fun to use and you’ll always know exactly what you are getting. Plus, the technology will give you added confidence in placing your order in our hands. Please read on for important shipping and payment information and know that we are proud to be part of a much brighter future in the world of online pharmaceuticals. ModafinilBuyOnline ships its products from India and we provide free shipping with tracking capabilities. We can ship anywhere in the United States with an estimated delivery time of 8-15 days. Infrequently, you may see shipping delays occur, but this is seldom an issue. We’re sensitive to the fact that our customers are worried about lost or delayed parcels when ordering Modafinil, but we offer solutions for this and other ordering issues. You can order with confidence with our custom built technology that lets you know at all times where your parcel is in real time. As soon as you pay for your order, you will receive an email with a link to the most advanced parcel tracking service in the online pharmacy industry called ModaTrack. Unlike other parcel tracking solutions, this service is always online, lightning fast and optimized for use with your smartphone. We want to alleviate your worry about scams and make ordering from us as easy as possible. We offer full refunds and 100% delivery guarantee for those orders that do run into problems. Approximately 4% of our orders do not make it through customs, which is normal. In these cases, the parcels are seized or returned by customs. We constantly track all our shipments and we will inform you if we notice any issues. Each time your parcel is scanned during its journey, we send you an email update letting you know exactly where your package is located, so you are never left wondering about the status of your order. In the event your package is lost or seized by customs after it leaves India, we will notify you about the situation and you can choose to either receive a free reshipment of your order or a full refund of the amount of purchase. If we do not hear from you within 48 hours, then we will automatically reship your purchase free of charge. In extremely rare cases, shipments are lost prior to leaving India. In this case, we immediately dispatch a reshipment and notify you via email of the situation. We want our customers to be happy and providing refunds and delivery guarantees are one way we accomplish this. If there is any problem with your shipment, we will do everything in our power to make it right. However, we do not offer refunds or reshipments if you provide an invalid shipping address if you do not accept the parcel upon delivery, or you fail to pick up the order after failed delivery attempts. Once you place your order, you will receive payment instructions for each respective payment method. Currently, we offer two payment methods that include paying with either a VISA or MasterCard credit card or using Bitcoin. 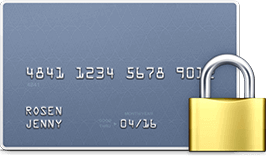 Our credit card payment partner is a trustworthy professional whom we have worked with for many years. However, if anonymity is a concern, then paying by Bitcoin is the best option for you. After we receive your payment, your order will be shipped within 24 hours. If you order on a weekend, then your order ships on the following business day. As a token of our gratitude, if you are a returning customer, you will receive a 10% discount simply by entering the order number of your previous order as a coupon code during checkout. 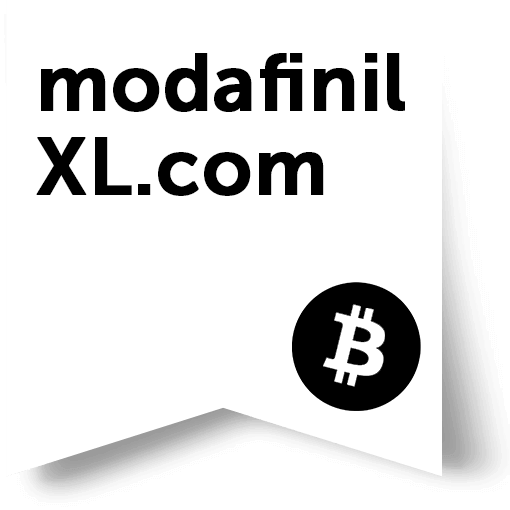 Also, if you choose to pay for Modafinil with Bitcoins, we offer 35% off on all orders paid via this option. Simply select Bitcoin as your payment method and you automatically receive the discount. Order free Armodafinil samples & get it delivered by mail within a week!